Journal of Midwifery, Women’s Health and Nursing Practice is an international, peer reviewed, open access, scientific and scholarly journal that publishes manuscripts like research, review, mini reviews, case reports and studies, short communications, letter to editor, editorials, etc., related to the fields of nursing practice, midwifery and women’s healthcare research. We promise researchers, clinicians, academicians, healthcare professionals to provide a forum to publish their latest research results online and also, they can find recent advances in the fields of nursing practices and developments in midwifery and women’s health in our journals archive. 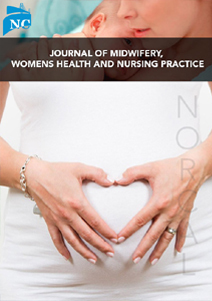 Journal of Midwifery, Women’s Health and Nursing Practice is the journal in which authors can publish their original research, reviews, mini reviews, case studies and reports, short communications, editorials, etc. This study mainly promotes normal and physiological birth of a baby and women’s health and Midwifes are available to protect in all accepts throughout pregnancy. The aim of the journal is to provide recent advancements and current studies on the various field of midwifery nursing and women’s health. The scope of the journal includes Midwifery, women’s mental health, emergency and critical care nursing, Practices of midwifery and nursing, Family practice, Primary care for women and new-borns, infertility holistic care, safe pregnancy and normal child birth, Sexual and reproductive health, Complications of pregnancy, Amniocentesis, menopause, etc.